In preparation for next week I have been making some drawings to make into collagraph plates while I am at Art in Action, demonstrating how I go about making collagraphs from drawing to print. I had thought I would use some drawings I had made from a visit to Slimbridge in the New Year, these eider ducks being one. 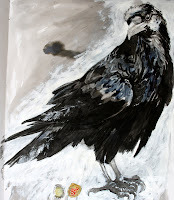 But so inspired am I by my visit to see Marley the raven, yesterday, that I have had to spend the day drawing. PS Ironically the verification word for my comment is inkey!!! 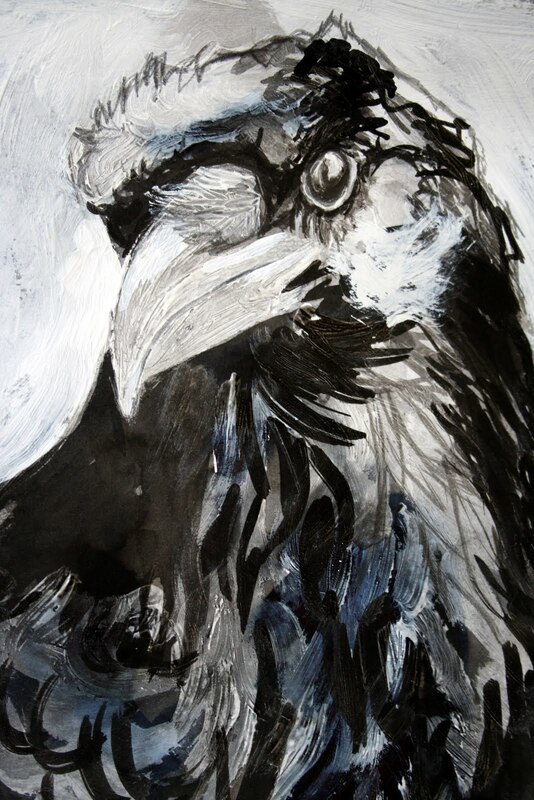 I'm looking forward to seeing your work at Art in Action - these are lovely images. I'm demonstrating for the first time this year and am busy getting ready like you! I just found your blog...wonderful work you show here....very beautiful and so interesting your posts about printing techniques, etc.